Iran is Shi'ite, but the Iranian mullahs hate Israel and the Jews more than they hate the Sunni jihadists in Judea and Samaria. Also, by aiding Sunni jihad activity, the Iranians continue to try to position themselves as the world leader of Muslims—a position for which they have a good deal of competition. (Jerusalem Post) Prime Minister Netanyahu condemns UN for not responding to PA official who said he is "excited" by Iranian directives to send weapons to West Bank. 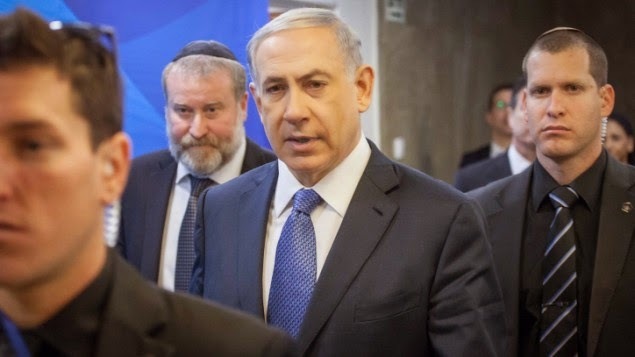 Iran is increasing its efforts to "deepen" its terrorist activities in the West Bank, Prime Minister Benjamin Netanyahu told the cabinet at its weekly meeting on Sunday. "No less a personage than the Palestinian Authority's ambassador in Tehran said that he is excited by the directives of Iran's ruler [Ali] Khamaeni to send weapons to the West Bank," Netanyahu said. The prime minister directly quoted the Palestinian envoy as saying, "The Zionist entity is an aggressive cancerous growth that sooner or later must be eliminated," he said. Netanyahu emphasized that these were not the words of a Hamas representative, but rather that of the Palestinian Authority's official in Iran.